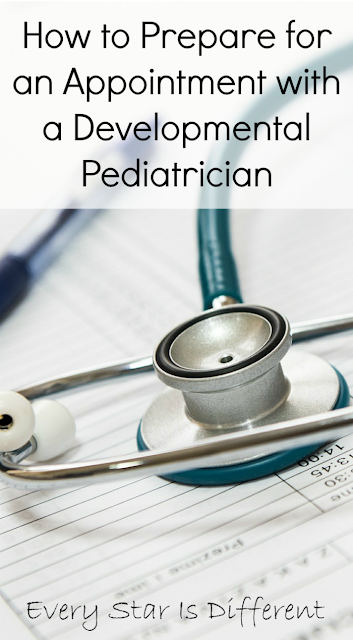 Last week, for the fourth time, I had a first official appointment with a developmental pediatrician for one of my children. One might think, by the fourth time I'd have it all down, but I don't. 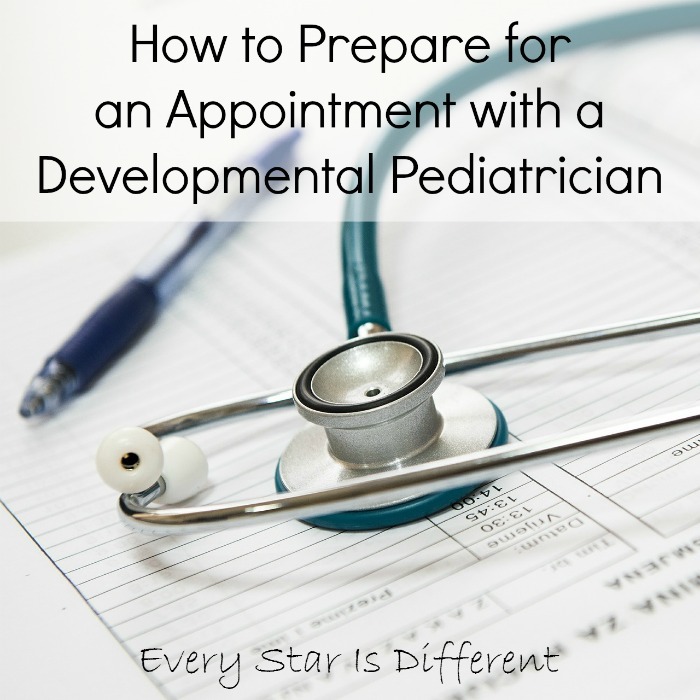 Preparing for an appointment with a developmental pediatrician is a big deal! I tried to tell myself that I wouldn't stress and freak out before the appointment trying to get everything ready. There wouldn't be tears as I read each and every report about my child, discussing their weaknesses and difficult behaviors, written by therapists, special education teachers. etc. But the truth of the matter is I did stress and freak out. Tears came with each and every report written by therapists and special education teachers. There's just something about reading those reports. I know my children better than anyone else, but when their behaviors, adaptive abilities, and cognitive functions are put into numbers, compared to others, with ongoing comments about concerns, it's hard to take in. I will say, by the fourth time around I'm very familiar with how to read all of the scores, know the names of the tests, and know what to request, but that doesn't make the process, or the results any easier to take in. The preparation becomes more difficult when met with opposition from therapists, special education teachers, and/or service coordinators who all have opinions of their own about my child, their behaviors, and my parenting skills. This doesn't even take into consideration how hard it is for some people to fathom that one family can have FOUR special needs kiddos. If only they knew how many times I've asked myself that same question, examining my parenting skills, picking apart every little thing I may have done wrong as a parent to cause all of this to happen. In the end, I know it's not my fault, but insecurities and doubt are very powerful things. The truth is, I know my children best. When my gut tells me there's something wrong, and everything I try doesn't work, then I want answers. I want my child to receive the help they so desperately need. In my county and city school district, the only way I've been able to get that help, is by having my children properly diagnosed. 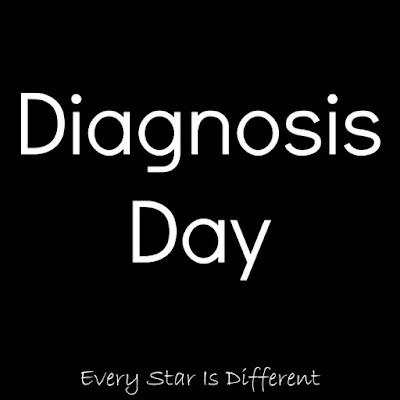 Besides obtaining services, I have found, for me, the diagnosis means everything. There's finally a reason behind the behaviors and the lack of response to everything I've tried. There are now endless pages of educational information I can use as resources to help my child, and myself, as their mother. In some cases there may be networks where trainings are made available. Over the years, I have learned a correct diagnosis is the opposite of scary. But in order to receive a correct diagnosis, a parent must be well prepared for the appointment. 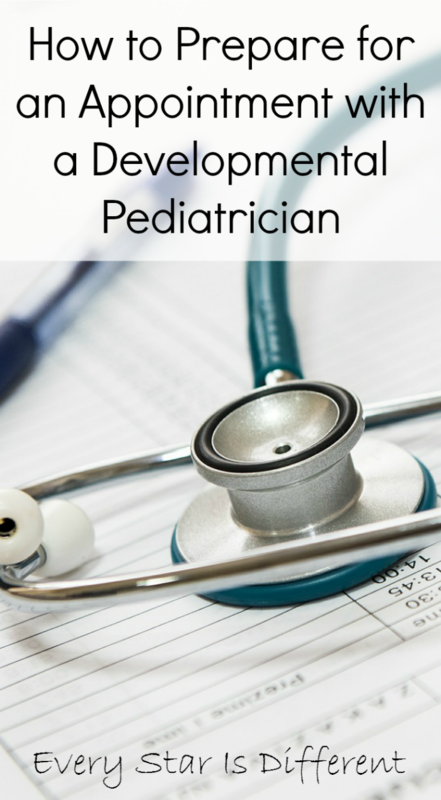 How do I prepare for an appointment with a developmental pediatrician? Preparing properly for an appointment with a developmental pediatrician takes a lot of time and effort. It also requires you to work hand in hand with your child's therapists, teachers, etc. In order for a proper diagnosis to be made, the developmental pediatrician will need to see and understand how your child relates to you, and also how they relate to others in and outside of the home (if applicable). 1. Obtain as many written reports from therapists, counselors, and/or teachers as possible. Meet with them before hand. Discuss concerns you have. Explain behaviors you're seeing at home. Most therapists and teachers are more than willing to help you in this endeavor. 2. Request adaptive and cognitive testing for your child. Confirm that reports will be in your hand by the time of the appointment. These scores are extremely important for the developmental pediatrician to have when determining the proper diagnosis. 3. Organize all reports, test scores, and letters, in a Binder to have with you at the time of the appointment. 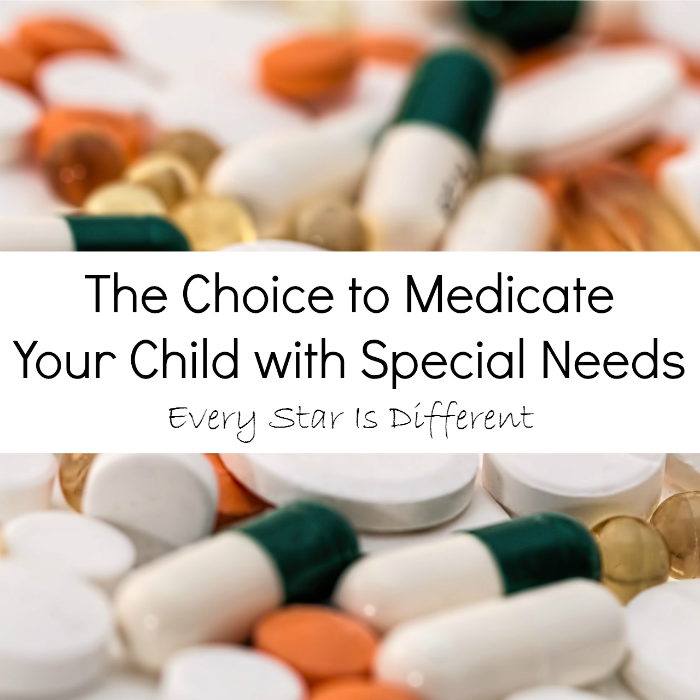 If you haven't realized it already, you will have a TON of paperwork about your child, that will need to be accessible for doctors, teachers, therapists, etc. It's much easier to have it all in one place, than to have it scattered or lost. 4. Write a Parent's Report. Allow a few weeks for this process. This way, when it comes time for the appointment, you won't forget to mention any of your concerns and questions. How do I write a Parent's Report? 1. Include a brief medical history about your child. Include important information including foster care placement, adoption, abuse, neglect, health concerns, developmental milestones, complications at birth, difficulties with feeding, reflux, etc. I tend to use bullets when I write my reports, but paragraph form is okay too. You want to make the information as easy to read as possible. Be sure to ask your pediatrician and/or specialists if they have any specific information they would like to you to include. 2. Be prepared to give a family history of any medical, developmental, or mental health concerns and diagnoses. Ask extended family members for help with this if you aren't sure of facts. 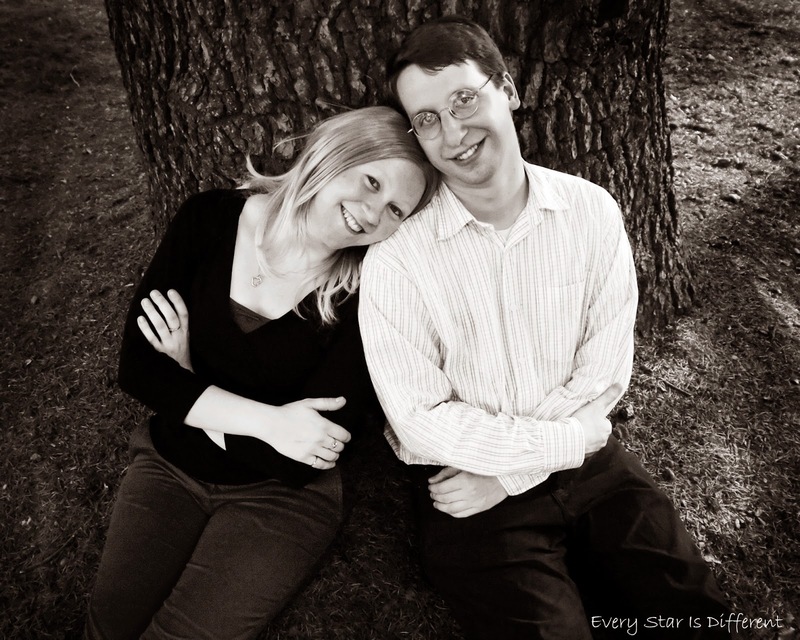 Family history can be crucial in receiving the proper diagnosis. If you have adopted the child, ask social services for any information they have about the birth parents. 3 . Explain concerning behaviors in detail. Be honest. Your developmental pediatrician should not be surprised, offended, or judgmental. These behaviors are the reason you're seeing a specialist. Don't forget any. This is usually the part of the preparation that takes the longest. Keep a notebook on hand for a couple weeks before the appointment. Jot down anything that you think of. Ask therapists, teachers, counselors, and/or extended family members for input, if you feel comfortable doing so. Do not feel embarrassed, ashamed, or nervous about anything you're going to share. A developmental pediatrician's job is to help families with children who struggle with disabilities. I can not express enough how important this part of your Parent Report is. Princess' behaviors have been quite extreme in the past. Bulldozer scared us more than any of our kiddos with his lack of safety awareness resulting in some pretty serious situations. Your developmental pediatrician is there to help you. They are there to provide you with answers, advice, medication if needed, and documentation to protect you and your family. 4. Share your child's sensory response to the world around them. If you have not read Visual Stimuli in the Classroom, Tactile Stimuli in the Classroom, and Oral Stimuli in the Classroom, do so. They will be a great help to you in preparing this part of your Parent's Report. 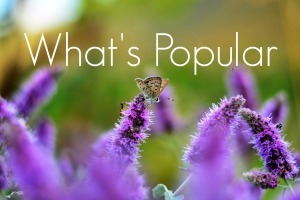 Posts regarding auditory, olfactory, proprioceptive, and vestibular stimuli are coming soon. If you are unsure of your child's sensory needs, or do not understand what to look for, ask your child's occupational therapist or special education teacher for help. They should be able to help you with this. 5. Write down your questions. No matter how silly or serious they may be, write them down before the appointment. You will most likely forget them if you don't. If you leave without your questions answered, you will be devastated. After all, that's why you've come in the first place. When at the appointment with your developmental pediatrician, relax. You've done all you can at this point. Now is the time to just absorb all the specialist says. Be sure to bring a notebook and pen with you to write everything down. Depending on the office, reports can take weeks to be in your hands. At other offices, you receive a report when you leave, however it's very short and to the point. You want your developmental pediatrician to see as many behaviors as possible. Don't be embarrassed if you child acts out. etc. Most importantly, keep seeing your developmental pediatrician regularly. My children are seen at least every three months due to medications. Prior to medications, they were seen every 6 months. You don't just get a diagnosis and be done with it. Developmental pediatricians are specialists at development. Development is always changing. Your child may receive one diagnosis, but then have it changed later on as their behaviors change. At times it can be hard to identify exactly what the diagnosis is, so it takes continual observation. Don't be discouraged. Your developmental pediatrician wants to ensure that your child will receive the correct help. When you return home, take the time to grieve. 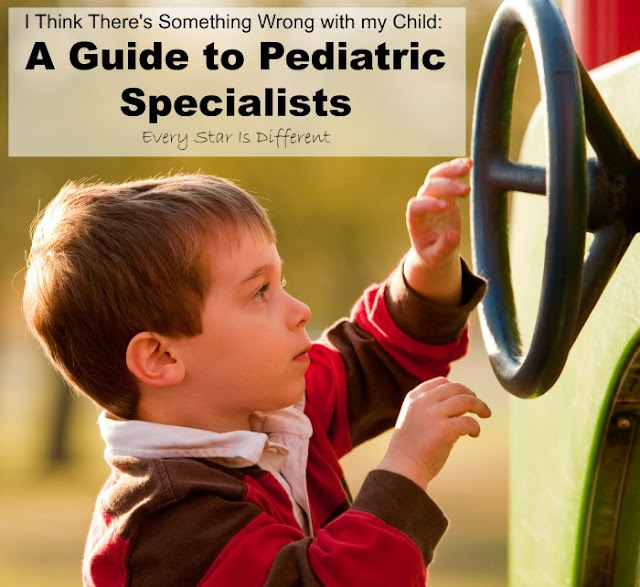 In all four cases, I was correct in knowing what was wrong with my kiddos beforehand, but hearing it and confirming it with a specialist was a completely different story. It's hard and that's okay. You don't love your children any less, but you mourn for them. You mourn for yourself, as your reality has just changed dramatically. You mourn for the future. All of this is normal. I used to think when I mourned once over this stuff, I was done. With each kiddo and diagnosis has come it's own mourning process. If you are concerned about your child, their behaviors, sensory issues, and/or emotional state, talk to your pediatrician. Bring a Parent Report to him/her. Help them to help you know if it's time to see a developmental pediatrician. I don't know what I'd do without our developmental pediatrician. She is the best! wow. I just ran across your blog (and wowza). You are an amazing woman. I personally am a special education teacher with 11 students ranging in age, level, and interest (two of my own). I found some great ideas for space. You have a gift. Thanks for this resource. I would love to know how this method of teaching has progressed your children. I wish more teachers would incorporate Montessori activities like these. Thank you so much for the kind words. The method we use seems to be doing wonders for them. Just when I doubt it a little bit, it proves to be exactly what they need. I highly recommend it! Thank you for writing this blog. I'm scheduled to have my 15 year old assessed tomorrow and it's great to have some background of what to expect and what to prepare for that. Thank you so much and God Bless you. I just came across your blog post. I have a special needs daughter who is going to the developmental pediatrician tomorrow. We are nervous but excited! The school diagnosed her with autism spectrum disorder and ADHD. She has had an IEP since she was 3yo. Hopeing we get an official medical diagnosis tomorrow so that we can learn how to help her more! !